Breaking news: There's an apostrophe catastrophe on Fox 25 Boston right now. The weather forecasters were so excited to induce mass hysteria that we might get two inches of snow on Tuesday that they forgot to proofread the title of this story. Don't ask me what masochistic tendencies caused me to have the local news on in my living room, but I guess it's a good thing because I was able to capture this catastrophe. 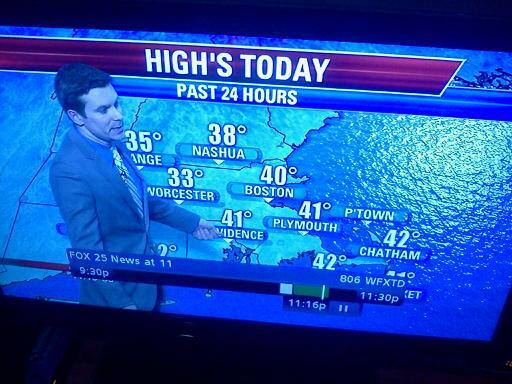 I think this is a sign once and for all that I should cancel my cable. Heather spotted this doozy in Austin, Texas. The sign maker was looking for a unique way to advertise an alternative to a double wide and ended up with a double catastrophe. It's certainly eye-catching! 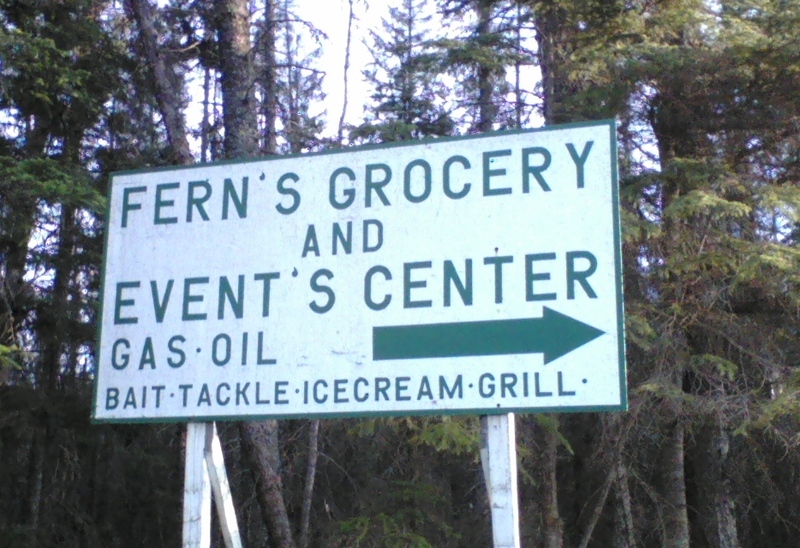 Joe spotted this catastrophic sign on the way to Emma Lake, Saskatchewan. If the store is named after a person named Fern, the first apostrophe is fine, but the second one is a catastrophe for sure. 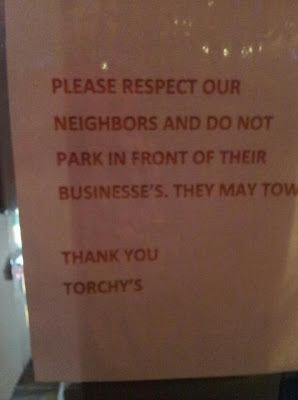 Dustin sent in this unique apostrophe catastrophe from Torchy's Tacos in Houston, Texas. I'm not sure I would trust their food with an error like that on their sign. Leah spotted this catastrophe "forever cast in bronze" in one of the wealthiest towns in Massachusetts. It's youth should not have an apostrophe in it. 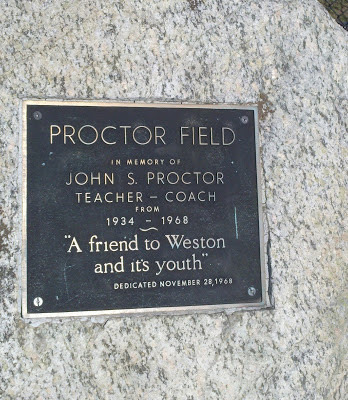 Weston may have many Romney-esque salaries, but poor punctuation always looks cheap.